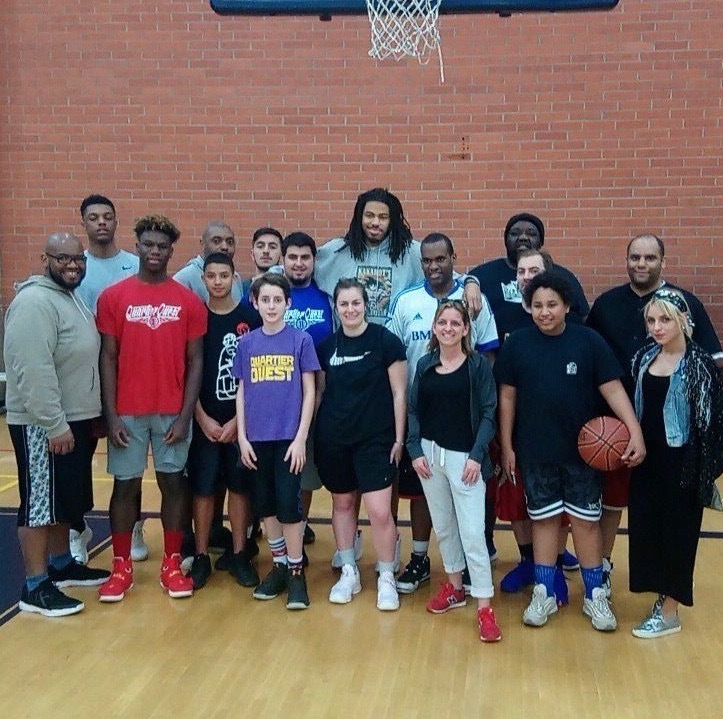 With 15 years of experience for organizing training camps in France, the QUARTIER OUEST association is now launching its first summer camp in the United States: Inter Basketball Camps. This Camp will take place in the city of Los Angeles, California, and is first aimed for boys and girls playing basketball at any level. It will be organized on 2 sessions with 16 nights for both, and will first begin on July the 11th to the 27th of 2020, and once again on July the 27th to August the 12th of 2020. The Quartier Ouest association was created in 2006 with the name of B Ball State, and changed its name to Quartier Ouest in 2017 and kept its objective of organizing sports and cultural events linked to basketball. Among its activities, there are training camps, tournaments, or also caritative operations, like our partnership with the cameroonese organisation AC BAMBAT, which aims to help the development of basketball in Cameroon and everywhere else in Africa. Among our caritative operations, our most important one was the opportunity to send containers to Haïti, in order to help the island when it suffered from an earthquake in 2010. But what matters most in our association is our famous international basketball tournament called Quartier Ouest, who gave his name to the association herself. 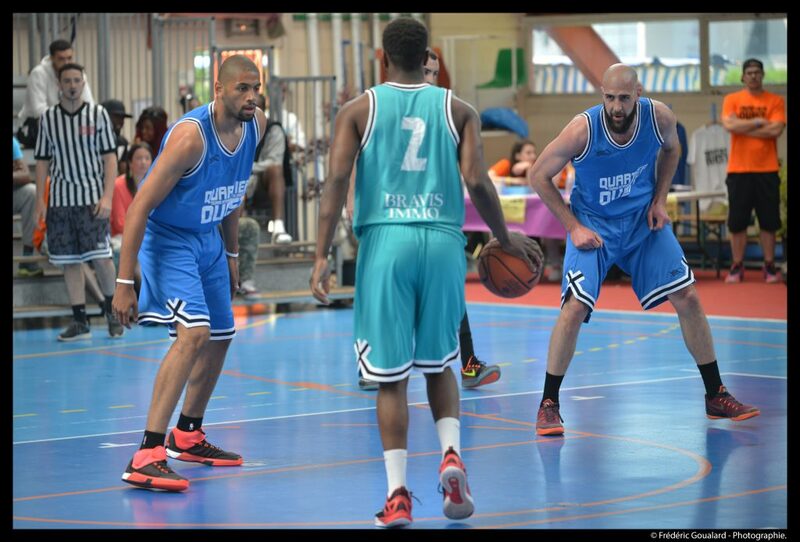 It’s a 5*5 tournament which gathers renowned men and women who play basketball at high level, such as Nicolas Batum who plays for the Charlotte Hornets in NBA, or other players like Adrien Moerman, Paul Lacombe, Amel Boudherra, Khadidia Minte who are well known as international players. But it also brings the opportunity to watch teams from everywhere in Europe, and from Japan and the United States(Los Angeles). 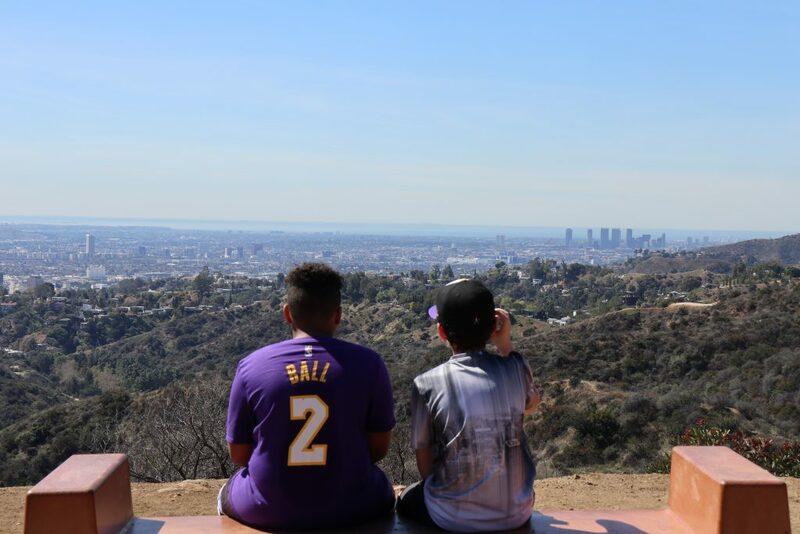 And finally, there’s the Frenchies Love L.A trip to Los Angeles, which exists since 2018 and gives to people the opportunity to discover this megalopolis, while visiting the renowned places and watching NBA and NCAA games for real. Mr Jimmy YAMBA, president and creator of the Quartier Ouest association, is a well-known and renowned person from the French Basketball Leagues, who has many interests around Basketball, as a coach, event organizer and former player. For more than 15 years, he kept discovering the american culture and way of life, thanks to the numerous trips he made to Los Angeles. This training has a partnership with Sapsnshoes organisation. These camps aim on mental, physical and technical preparation. 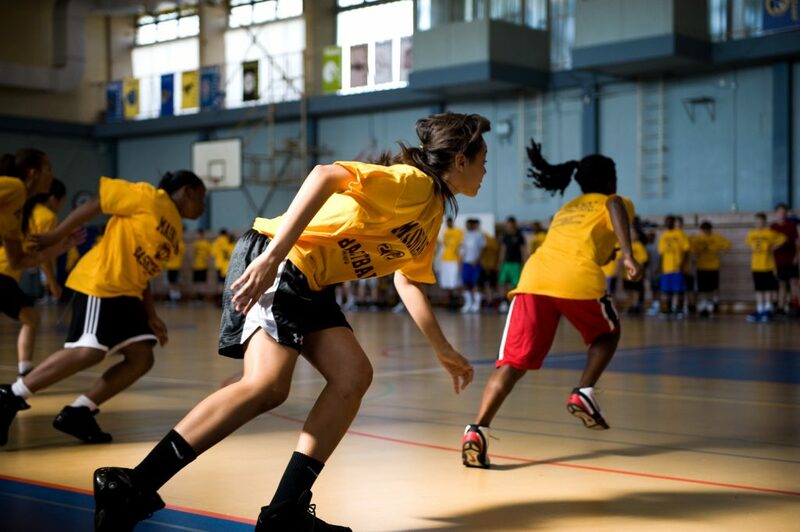 It will also help young players to reach another level and develop their basketball mentality. To Learn, Develop and Improve from this training. Those 3 goals are the main keys for this event to be successful, for any level of player. This camp will be driven by values such as Sharing, Conviviality and Respect. This camp is aimed for boys and girls whose age may be between 9 to 23 years. All the persons who will finally participate to the camps will be gathered in 3 groups with different levels: Beginner, Intermediate, Advanced. Players from any level will receive a particular training, being a beginner or an advanced player. A gift from our equipment partner will be offered to every trainee who will attend this camp. Players will be supervised every day, and you can join us at any moment! This camp will be like a dream for any boy or girl who practices basketball! Six hours of intensive training every day, with also games, contests and tournaments will represent what you’ll find in our camps. 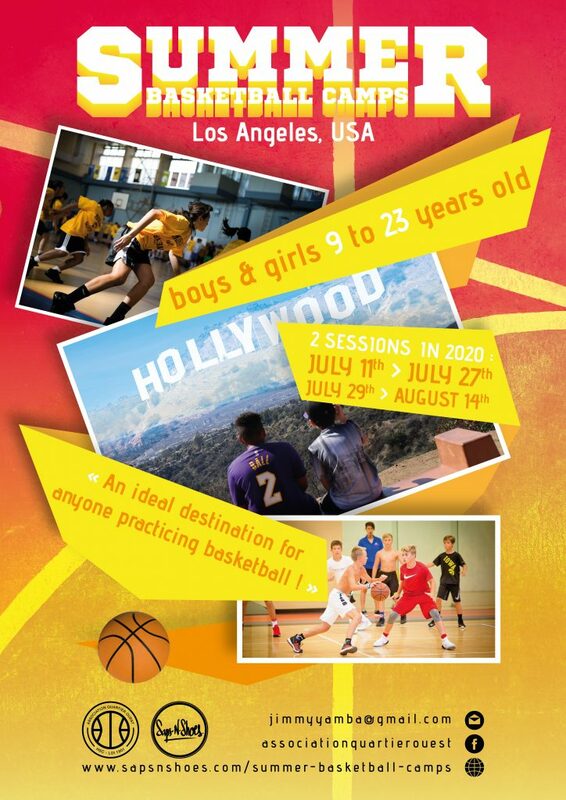 English lessons and other activities different from basketball will also be part of these camps. Finally, there will also be young americans and international players who will join this training, which is the perfect opportunity to discover other cultures. Going to the Staples Center, to watch a Los Angeles Sparks game from the WNBA championship. Watching the Drew League, and the Venice Beach League. 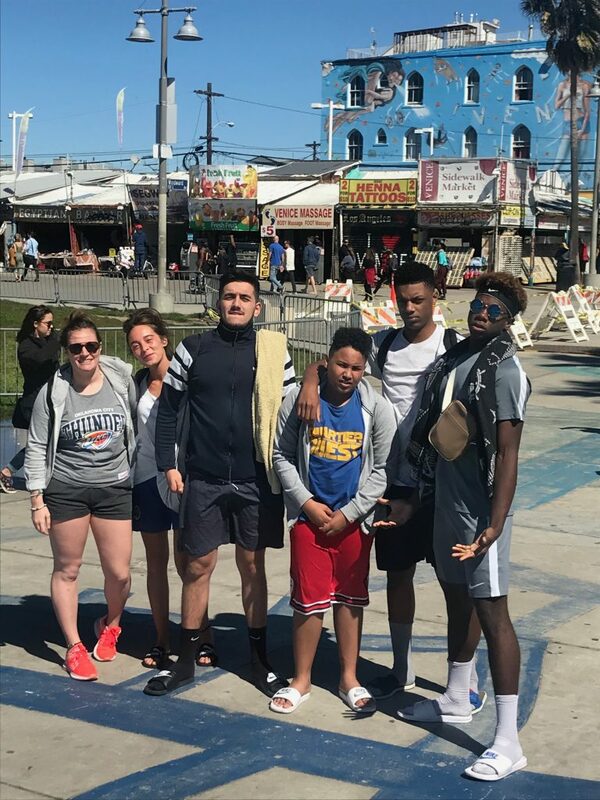 Walking on the famous beaches of Venice and Santa Monica. 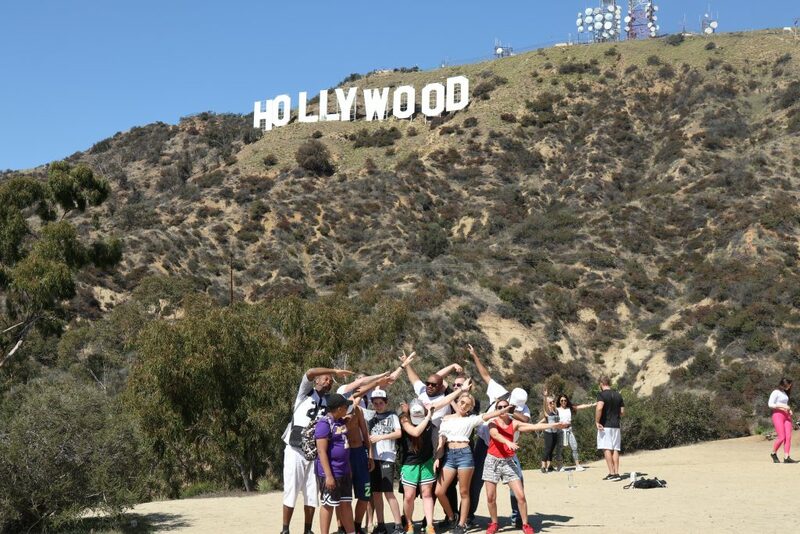 Hiking in the Griffith Park to discover the Griffith Observatory and Hollywood Signs. Watching a Baseball Game from the MLB. Spending Money on Shopping, and at the Outlets. For those who have none or little idea of what is this famous city, it can be described as a location where the sea and the desert mix together with urbanism. But what’s more important is that Los Angeles can be considered as the home for some of the biggest brands from sport, cinema, music, and many more. Among the greatest names close to this metropolis, there are Beverly Hills, Hollywood, Malibu, and even more. Of all the biggest metropolis in the world, Los Angeles remains the most fascinating and attractive city among them. This camp will give you a complete immersion into the american culture. We will discover different historical places in Los Angeles, and many more things linked to this city. We will mix pure basketball training with an important part of physical and athletical work, so you can prepare yourself for your upcoming basketball seasons. All the technics that we’ll teach you are used by coaches and players who reached the highest level in AAU, NCAA or even NBA. Our organisation put an emphasis on education. While training, young players will have the opportunity to open their mind. Respect is the most important thing for us, but also for everyone in the camp, not just for adults. Our english lessons, and trainings entirely taught in this language will allow anyone to level up with this camp. Our ultimate goal is to give to young players the opportunity to get an athletic scholarship, so they can study in the United States. But this is also a way to get opportunities everywhere, so they can join one or more training centers.